1) I can’t thank Beth enough for what she has done for my family. Meeting her when I had my first baby had a profound effect on the type of parent I became and continue to be. She has a professional, yet calm and nurturing manner that made me feel immediately at ease at a time when I was feeling overwhelmed and confused in the world of becoming a new mother. She helped me to trust my instincts and respond to the needs of my baby, and I treasure the caring and supportive relationship we developed with her. After the birth of my second baby, she provided invaluable assistance when I had breastfeeding problems with my newborn son. Although I was already an experienced breastfeeding mother, I encountered unexpected problems which she was able to immediately diagnose and rectify, and things became easier almost overnight. Her wealth of knowledge and experience in breastfeeding matters, and her gentle approach made an immeasurable difference to my breastfeeding relationship with my children. I can’t recommend her highly enough. Any family who has the benefit of Beth’s professional, warm and reassuring approach in their home will be forever grateful. M.M. 2) Beth is an extremely capable and reassuring doula. Her profound and extensive knowledge of the mother baby relationship means she can quickly and accurately identify what issues may exist (between a mother and baby) and make suggestions and give advice that make big differences. I am very grateful to have met her when I had my very little new baby as she was able to find out what was causing me pain and helped and supported me to get the problem solved. C.F. 3) As a new mom determined to breastfeed my new baby, I was quite distraught when I experienced over six weeks of breastfeeding pain. After seeking help, Beth offered not only encouragement, but was able to walk me step-by-step through a breastfeeding session, helping to correct my baby’s latching-on problems that was causing the pain — which eventually resulted in a wonderful breastfeeding relationship with my baby that is now completely pain free. Beth pro-actively contacted me after our initial meeting, continually checking up on me and offering the support that a new mom needs. When I shared my concerns about returning to full-time work and continuing to provide expressed breast milk to my baby, Beth provided me a wealth of resources that offered practical and pointed information to allay my fears. Beth was very attune to my personal experience as a breastfeeding mother, taking note of the physical problems I was having, but also being caring and compassionate to the very emotional side of being a new mom. Although I know Beth has worked with many mothers, I really felt as though she saw me as a unique individual, recognizing that each mothering experience is different, no matter the situation. She helped to provide me with the knowledge as well as the confidence to continue breastfeeding during a few frustrating weeks. Beth provided me with the guidance and direction that even the best breastfeeding books could not offer. I highly recommend her for her experience and expertise! R.V. 4) I’m not a first time mom. I successfully nursed two other babies. Who knew I had so very much to soak up from Beth? Her care and guidance changed the entire trajectory of my relationship with my newest infant. I am proud of where we are today and credit our beautiful success to Beth. Beth was the perfect partner to lead me through the fourth trimester. The first few months are so exquisite. It’s a magnificent time, watching yourself rise to the role of mother. Beth helped me to determine the kind of mothering I want to pursue. I did not have a postpartum doula with my first two babies. I struggled with self doubt and a caring family who did not have experience breastfeeding. Anxiety was my side kick every day. Beth met us at the hospital the day our baby was born. I learned latching and feeding positions. I learned to lean more effectively on my husband. I learned how to make a pillow work for me. Sounds trivial, but it granted me sleep, one of the most precious gifts you can give to a new mother.I brought a new baby into a busy and hectic house. I had older children with high needs. The relationships between the new siblings benefited greatly from her gentle council. Beth’s encouragement and peaceful presence allowed me to fall more in line with the parenting style I try to exhibit. I now have knowledge as my side kick thanks to Beth. Beth’s gifts to our family are not easily put into words. How to you measure the gift of peace, confidence and joy. Our life is significantly better because Beth was in it. C.M. 5) Dear Beth, I just wanted to thank you again for everything. I can’t tell you how many times I think of you in a given week. I think how thankful I am that you were able to help me breastfeed N&M as best as I could for as long as I could. 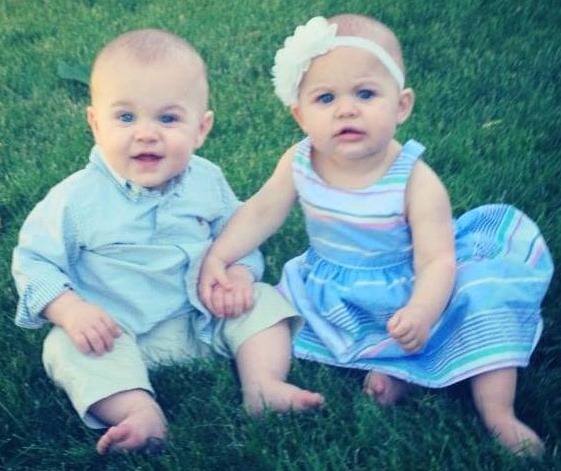 Being able to nurse them was the best experience (a lot of hard work…but totally worth it! ), so thank you again for that! C.S. 6) I would recommend Beth to my closest friends and family in a heartbeat. She is the one you want by your side as you welcome your baby home. I couldn’t imagine our life without her. When I was 7 months pregnant expecting our first child I had everything planned in preparation of our son’s arrival. After years of being in the event planning industry & building small businesses, I was overly-prepared for what I expected of new motherhood. At least I thought I was. That was until I read about a postpartum doula. I came across the term doula and had no idea what it was. I researched and quickly realized this was something I needed to look into. After hearing a recommendation from my amazing chiropractor Dr. Stephanie & two other acquaintances in the area. I realized I needed to meet this woman, her name is Beth & everyone was talking about how wonderful she is. It seemed like everyone knew her. When we first met, I was nervous & skeptical of what a doula does. I wanted to be successful, prepared & provide a strong foundation for our home in welcoming our son. It seemed a doula could provide support for not only me but also my husband, when any stress presented itself. In the first meeting, Beth had a sense of calm about her. She put me at ease & made me feel ready for the journey ahead. I had interviewed 4 other doulas before meeting Beth, but I knew in that moment Beth was the right person. It wasn’t until our baby boy arrived in June 2013 and Beth was by my side each day that I really realized how necessary a doula & lactation consultant is. Right away, I needed her. (And I rarely allow myself to lean on anyone.) I was in a new world I have never known before. It was exciting and scary. Our son was born healthy & strong and latched right away, but he slept a lot. Despite attempts to wake him regularly to feed, he lost over 10% of his body weight before leaving the hospital on day 4. Thankfully our hospital is breastfeeding friendly & they knew I had a post-partum doula & board certified lactation consultant, Beth, meeting me at home so they did not keep our son in the hospital or push alternative nutrition such as formula. As soon as we settled in, Beth was there daily, with encouragement, knowledge, open arms and unlimited resources. My husband & I would go to the pediatrician visit with reports from Beth on how much milk my son was taking in, his weight, his habits, everything. The pediatrician was so pleased, it was like having a medical person at home, but with the comfortable personality of a best friend. Within weeks our son was up in weight & impressing the pediatrician. He is almost 2 now and continues to amaze everyone he meets. It is a blessing to have him in our lives & I thank Beth for giving our little family the strength we needed each day. We still stay in touch and she is a great friend. Looking back at my most vulnerable time of life as a new mom those first few weeks and months… It was Beth’s kind heart, genuine love, instinctive care coupled with her years of experience and professionalism which made me realize we had an angel in our home caring for our new family. As we discuss expanding our family in the coming years, I know I will call Beth and ask her to join us on welcoming any future babies. I couldn’t imagine those moments without her. P.G. 7) I nursed my son for 2 years with weaning occurring 3 mos. prior to giving birth to my daughter, during which time Beth was a source of advice, humor, and support. About a week after my daughter was born Beth came to my house with a much needed calm assertiveness. She offered hands on help with positions to reduce the amount of air my daughter was taking in while nursing as well as some better burping and gas relief techniques. She also reminded me that it was ok to ask for help with house work and meals, which can be surprisingly easy to forget. If I am ever blessed with another child I will certainly be calling on Beth again. C.E. 8) I met Beth over one year ago. There hasn’t been one question that she left unanswered. She goes out of her way to provide support for tired and often puzzled breastfeeding moms. M.L. 9) I gave birth to my baby on the November 22, 2011 but by the 27th, I was ready to quit nursing. It was a rainy, cold Saturday and I was in tears. I texted a few people and asked if they knew of a lactation consultant who worked on Saturdays. A friend gave me the name of Beth and I called her. Within 45 minutes, she was at my door with her equipment and an air of calm that was magical. She entered my house and was both professional and caring at the same time. She spent over 2 hours answering questions, giving advice and reassuring me and my husband that we were doing the right thing by continuing to breastfeed. She helped me correct my latch, gave us tips for sleeping and overall information about nursing and caring for my baby. In addition, she came back a few days later to re-weigh my daughter and check up on us. She also sent encouraging emails and lots of extra information from the internet. A few weeks later, Beth came back to our house to help us prepare for going back to work. She helped me learn how to pump and how my husband should feed with a bottle. She gave us a ton of helpful information and thoroughly explained everything about pumping, feeding and going back to work. In fact, she gave me a lovely book so I could continue studying and preparing for the inevitable day. Beth has been an invaluable help to me and my family. I don’t think I would be nursing today if she hadn’t swooped down to help us! J.C.
10) Beth was my postpartum doula for a few weeks and I can honestly say I don’t know what I would have done without her. After I had my daughter, I quickly realized I would not be able to handle everything myself like I had previously thought. The concept of hiring a doula was very new to me but my husband suggested we try it out. After interviewing Beth, we both felt very comfortable with her. She had the knowledge, experience, sensitivity, and softness we were looking for. Each day she came, she answered the dozens of questions I had about the baby and about nursing. She gave me the support I needed to get through a very rough time. Beth made sure I ate by making me lunch and helping to clean up around the house and also helping with the laundry. Ah and the very much needed time to take a shower without worrying about the baby and helping me get of the house by going on walks with me and the baby. I am not the type of person who easily asks for help and I feel that Beth understood me. She did everything that I needed and more without me having to ask while being very respectful of my privacy. I can keep going on and on about what she did but the point is that the support Beth gave, both for what I asked for and for what she said and did without me having to ask, was invaluable. I will recommend her to everyone I know having a baby and of course hoping I can have her come help me again with my next baby. N.A. 11) There aren’t enough words to convey how instrumental Beth was in my life since my twin boys were born. She truly was a God send in more ways than I could have imagined and surpassed all my expectations. 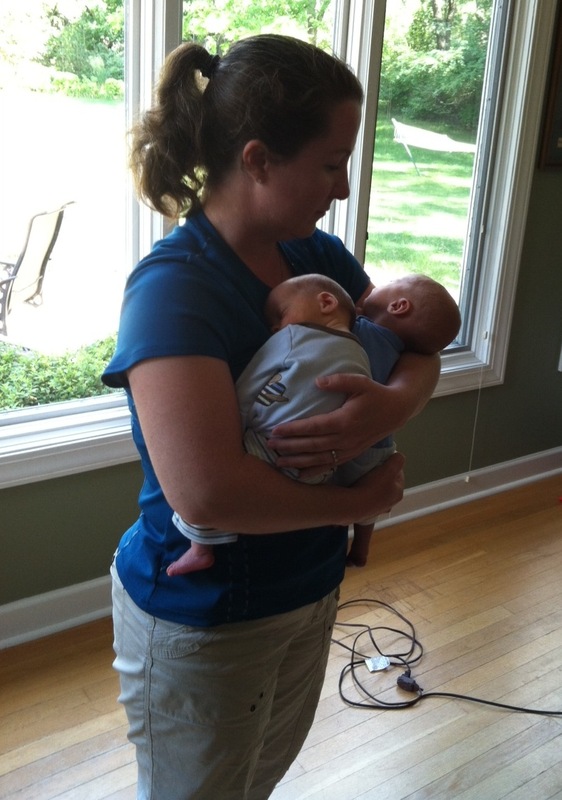 In my lactation experience with Beth, she instilled in me much needed confidence in breast feeding my boys and 3 months later my boys are gaining weight and are 100% breastfed! Before I met her, no one thought breastfeeding twins was possible, but she helped me achieve it and never had a doubt in me! In my doula experience, she helped ease my fears and answer all my anxiety driven questions any time of the day or night and with such kindness. She showed me generosity, knowledge, patience, and genuine passion behind what she does. Beth was a breathe of fresh air when she walked in the room and a ray of sunshine on the gloomiest of days like when my twins were still in the hospital. I am forever grateful to her for the emotional support she gave me during the times us moms need it the most– those vulnerable first few weeks after giving birth and being completely sleep deprived etc. I was blessed to have found her and recommend her to everyone! L.C. 12) Beth’s Returning to Work and Continuing to Breastfeed Class was very helpful and I liked how we got a personalized plan for breastfeeding and going back to work. I learned so much that I didn’t even know I needed to know! J.S.W. 13) In June , I brought 2 beautiful babies into the world. Zoe knew exactly what she needed to do to get her food. Ethan on the other hand wasn’t able to transfer milk. No one noticed that in the hospital and of course they lost weight. When we finally got discharged from the hospital and visited the pediatrician they told us we needed to feed the kids formula to put weight on them. We didn’t know any better but a day into it I called Beth for help. She was my life saver. She came daily for almost a month and gave me the strength to know I was able to provide for my kids and I did not need to supplement with formula. She taught me the basic of breastfeeding, how to increased my milk supply, helped diagnose an allergy to milk, recommend amazing natural baby products, tried everything to get my son to transfer milk, and became a member of the family. I do not think I would of stayed determined to breastfeed if Beth wasn’t there to provide support and encouragement. She is very knowledgeable in everything breastfeeding and baby. Finally after weeks of pumping and trying to get my son to transfer milk, he did and hasn’t looked back since. My twins are thriving and healthy ..and I have Beth to thank for that…breastfeeding has been an amazing experience that I will remember forever. Beth did not stop supporting me after the first month. She helped educate me on how to transition back to work and more importantly answers my regular texts from me freaking out about my supply. I highly recommend anyone to hire Beth! She is an amazing woman, mother, educator and now friend. M.B. 14) I struggled with successful long-term breastfeeding with my first son, born in February 2011. 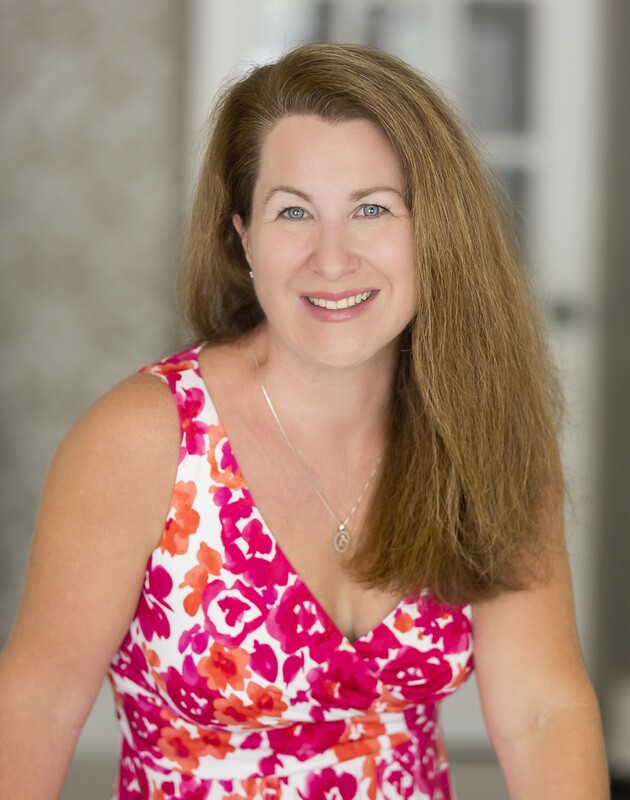 I hired Beth as a postpartum doula for the birth of my second son, born December 2012. Her long list of credentials in breastfeeding is exactly what I was looking for! From the first conversation with Beth regarding breastfeeding I felt at ease. Before my son was born she came to my home and we established a breastfeeding plan. One of the things I will always remember, Beth said “breastfeeding is a lot like down hill skiing, you need real-time practice to make it work”. 15) Beth is amazing. I can honestly say that she is the reason I continued to breastfeed my son. While I had breastfed my daughter with no issues or problems, I was extremely frazzled and upset that with my son, it was such a struggle and always a fight. After weeks of this, I decided I was done crying over the struggle to nurse my son during every session. And while I felt extremely sad to stop nursing, I just couldn’t do it anymore. It was just too emotional and physically painful. I googled “lactation consultant” and emailed and called Beth as a last resort. Beth not only came over to meet with me, but she was there in less than 12 hours. I was due to go out of town the following day and she came over the very next morning to meet with me before I left. She explained a bit about herself and her approach and then observed me and my son as I nursed him. She then provided her assessment and some best practices by physically showing me what I could be doing differently in terms of approach, techniques and practice; explaining that different babies sometimes have different needs and requirements when it comes to nursing. I am forever grateful to Beth! She came to the rescue in extremely short notice by providing valuable insight when I needed it most. Kat. Z. 16) Beth Bejnarowicz was our postpartum doula and lactation consultant and she was amazing. I had a really difficult delivery and was very sick for many days and weeks after our son was born. Without Beth I think I would have had a really tough time as I was predisposed to postpartum depression and have a nonexistent support network.From day 1 Beth was there for us. I was on so many drugs after birth that it was unsafe for me to hold our son by myself. My husband had been up for several days prior to the birth due to my condition and he was exhausted and physically unable to stay awake to spot me as I held and breastfed our son in his first hours and days of life. Beth went above and beyond to help us. She stayed at the hospital with us for two nights and sat by my bedside as I held and fed our son. She made sure we were safe and helped make sure our breast feeding relationship started off well. She was very encouraging and compassionate at a very delicate time in our lives. The night I came home from the hospital Beth was there for us. She met us at our house and immediately started caring for me. I was terribly engorged and experiencing a very intense let down sensation and extreme uncontrolled shivers. Beth taught me how to massage my breasts to avoid complications and she helped my husband and I understand what was normal and what was not. She recommended that I go to the emergency room as my condition was far from normal. Beth was 100% vested in my well being so I could be 100% vested in our son’s well being. We could not have asked for more. I was very slow to do things after I gave birth as my recovery was long and hard. I don’t think I even understood how hard it was or how slow my recovery had been until I met other moms many months later. Beth never pushed me to do more than I could handle. She helped me understand the resources that were available to me but allowed me to go at my own pace. She was there with me no matter how fast or slow I was going. As the weeks went by, Beth was there for all of us. She brought books to help educate us and chocolate and other pick me ups for the hard times. She answered our questions, did our dishes, stopped at the grocery store, and a hundred other things. Sometimes she was just present and that made all the difference for me. She introduced me to different support groups and moms groups both in person and online. She was there when I needed her and that was something that was invaluable to me. She would allow me to have a break when I needed it and she taught me a million little things about how to care for our son in the most compassionate and baby friendly way. Beth lent me a baby carrier and got me a wreath at Christmas time when I could not go out and get it myself. She brought me a journal because she knew there was so much to our story. I would be a different mom without Beth. I am grateful that my motherhood journey started with Beth at my side. She is a tremendous person with a huge heart and she is singularly focused on making mom and baby healthy and well and helping dad to know how to take care of his wife and baby. She is also focused on helping dad be comfortable in his role as caregiver and is very encouraging and kind. She is compassionate, extremely well educated, and deeply experienced. Beth also knows her limits and she tells you. When she is pressed to talk to you about a subject that is not her central focus she is honest about it and that is as invaluable as all of her other skills. Beth is not interested in how your house looks or any other surface detail. She is not on a mission to have you parent in one way or another. She is truly focused on your health and well being and your family’s health and well being, however you choose to be a family or a parent. She meets you where you are and jumps right in next to you. I have a profound respect for Beth and the work she does and I would recommend her services to anyone who is interested in being nurtured and loved through their first few months of their journey. D.K. 17) I had a fantastic experience with Beth Bejnarowicz and just wanted to share. Beth was recommended to me from a friend and she worked with me as a lactation consultant in May 2014! I emailed her on a Monday afternoon when my milk came in and she arrived for our first session on Monday evening. She is such a kind, knowledgeable person! Being a first time Mom and not knowing what exactly was going on with my body, Beth normalized everything and I felt completely comfortable having her help me get my baby latched for nursing. She helped me with everything from engorged breasts to latching to a blocked duct. She also has a hospital grade baby scale and weighed little Brian before and after he nursed to see exactly how much milk he took in! She is so much more than an LC though! She cares about you and making sure that you are healthy and have good systems in place for you and the baby. She taught me how to pump and went through what life will be like when I return to work. She also helped me figure out my Ergo! She is punctual for appointments and responds to texts if you have a question! I would highly recommend Beth. I really needed her expertise to get through these first few weeks. J.L. 18) Beth is EXTREMELY great at what she does, very knowledgeable and she really cares. I used her help with my first child and now need help again with second child and she is wonderful!! I would recommend her with all my heart and the service she provides is worth every penny! You will not understand that until she starts helping you! With both kids i tried getting help from ob/gyn office lactation consultant, as well as lactation nurses at the hospital while i stayed and then coming back for visits and none helped me like Beth did! Please do yourself a favor and go straight to Beth it will avoid frustration for you and baby as well as your time and getting contradicting information given by hospital/doctor/pediatrician and nurses. ~M.S. We were blessed with our third child Sept. 5, 2012. I nursed my first two children, the second a much easier process than the first. I was sure the third would go even better. After a week of extremely painful nursing and my daughter not gaining enough weight, my pediatrician recommended supplementing and seeing a lactation consultant. I had plenty of milk, so I was so confused why she wasn’t getting enough to eat. Beth came over that same day, noticed that my daughter had a severe tongue-tie and she wasn’t fully latching. She recommended seeing a pediatric dentist (Dr. Margolis) to have the tongue-tie fixed with a laser. After we had it fixed, it took about a week for my daughter to re-learn how to nurse. By 4 weeks she was 100% nursing and I was healed from the poor latch. Beth was so supportive. I could not have gotten through those three weeks without her. She called to check in, was incredibly encouraging, and gave me great advice. Thank you Beth! Beth was referred to me after my second child had surgery to correct a tongue tie when he was 3 months old. I was overwhelmed and slightly terrified thinking I would have to start bottle feeding my exclusively breastfed baby. I’m certain Beth could sense my desperation and desire to continue nursing. She was able to come the same day of the surgery. She was calm, empathetic and had such a wealth of information. Above all she gave me encouragement and support. The best part is she is still encouraging me and supporting me 6 months later! I have texted and emailed her with the most random questions and she always has an answer and is quick to respond. Beth has a wealth of knowledge and continues to be a wonderful resource. I am grateful for her desire to help moms like me for the duration of nursing and beyond! I have three boys, and with my first two, although I breast-fed, it never felt quite natural. I never took the step of hiring a lactation consultant with them. With my third born, he had weight gain issues that required me to pump exclusively. For the first six weeks, I was attached to the pump and felt like I couldn’t give my other two the attention they required. I got to the point where I was ready to quit entirely. I decided it would be worth it to try an IBCLC before stopping. I had heard so many times that getting a baby back to the breast was nearly impossible and figured that if I tried an IBCLC, at least I could rest easy with my decision to quit. A friend recommended that I call Beth, and I am sure glad I did. She came in with such confidence and assurance and made me feel like I was in great hands. She helped me learn how to use a supplemental nursing system (and ultimately get him back to breast a week or so later!!). The hour that she spent with me was only the beginning, though. It is unbelievable to me the amount of time & care she has taken to help make my breastfeeding journey with my little guy a success. She has an answer for every question I ask (and I have asked many!). I remember feeling so alone with my first two and thinking, “Why didn’t anyone tell me how HARD breastfeeding can be! ?” I certainly don’t feel alone this time, and I am happy to say that I finally have been able to experience the “natural” breastfeeding relationship/bond with my son! Third time is a charm, I guess! Don’t make the same mistake I did! Hire Beth TODAY!! I don’t really know where to start. Beth saved my breastfeeding relationship and my sanity. I turned to Beth when my daughter was 4 months old and after a lip and tongue tie release. I had a low milk supply, and no one to provide me with any support. I was desperate and had no guidance. I was trying to work 40 hours per week as a full time nursing mother and just couldn’t hack it. Beth handled me with honesty, kindness, and compassion. I am certain I would not have made it as far as I have without her guidance. My daughter is currently 2 years old, and we are still nursing. I am so grateful for her knowledge. During my pregnancy, I made sure to read all the books and watch all the movies in preparation for labor. I interviewed the pediatricians to make sure I found the perfect fit! I thought I knew all there was to know about what to expect when my son was born….except I had no idea that I would struggle with breastfeeding. I saw the lactation consultant at the hospital, and two other private practice IBCLCs who were super sweet and supportive, but didn’t really offer solutions for our issues. Working with Beth was the difference maker in my nursing and bonding relationship with my son! She was able to offer practical solutions to our concerns– better nursing positions, the introduction of an SNS so we could supplement at the breast, and a pumping plan to help increase milk production. One of the pieces that I appreciated the most was her willingness to troubleshoot the root cause for my supply concerns and her referrals to other professionals who could assist in getting to the answers I was seeking. She continues to be a great source of knowledge and support even 2 years later! I am forever grateful for the role she has played in my relationship with my son! Beth is a blessing. I called at 12:30pm and she arrived within one hour. With the arrival of our third baby I was having difficulty managing my breastfeeding which led to many clogged ducts and loss of faith in my ability to breastfeed. After a thorough assessment, Beth walked me through proper management and gave me the encouragement to believe in myself. Beyond the visit, Beth has been available through many modes of communication to ensure my success. Everyone should utilize Lactation consultants beyond hospitalization.